Alfredo and Yvonne Villoria were just another fast-paced, career-minded couple in Los Angeles. But money-making wasn’t enough. “We felt that something was missing,” says Yvonne. “In 1976, we decided that 1980 was the cut-off year. In 1980, we would leave the United States. All we were doing was chasing the dollar. We wanted more. We thought there had to be more to life than just working and owning things. “We had the good life in L.A. I worked trading stocks and bonds and Alfredo was an aerospace scientist. We had professional work, we had the cars, a house in San Diego, and one in Los Angeles. But it wasn’t making us happy. Alfredo and I both needed challenges in our lives. Every year I changed jobs because the old one got boring,” says Yvonne. Having grown up in Hawaii, Yvonne and Alfredo wanted a place with a beautiful natural environment. 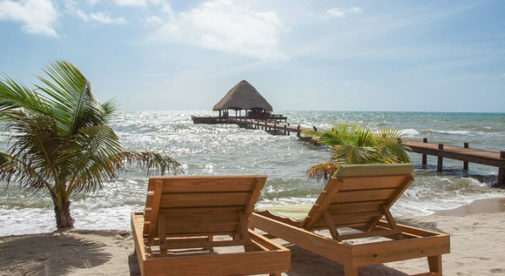 Their home state was already too expensive and commercialized for their taste, but they found the paradise they were looking for in Belize. “We traveled to all the countries in Central America and some of the Caribbean islands,” Yvonne says. “Everywhere we liked. I mean, everywhere. Eventually it came down to Costa Rica and Belize. But, even then, Costa Rica was too Americanized. They already had a Kentucky Fried Chicken in San José. So we focused on Belize. They found a 20-acre property near Punta Gorda, in the Toledo District. The couple bought the 20 acres for $1,800. They quit their high-paying jobs, sold their two homes in L.A. and San Diego, and got rid of all their belongings. Then they bought a motor home and drove south through Mexico to their new life. They gave themselves five years to make it work. As it turns out, they never looked back. All told, the couple’s monthly expenses are lower than $500 a month. “We proved we could do for ourselves,” says Alfredo. Today Alfredo is 78 and Yvonne is 74. They are as happy as ever, living on savings and with hardly any expenses. And they find it more fulfilling than the high-powered life they could have had back home. Instead of working for work’s sake, they enjoy a no-stress, low-cost, completely sustainable and peaceful way of life.